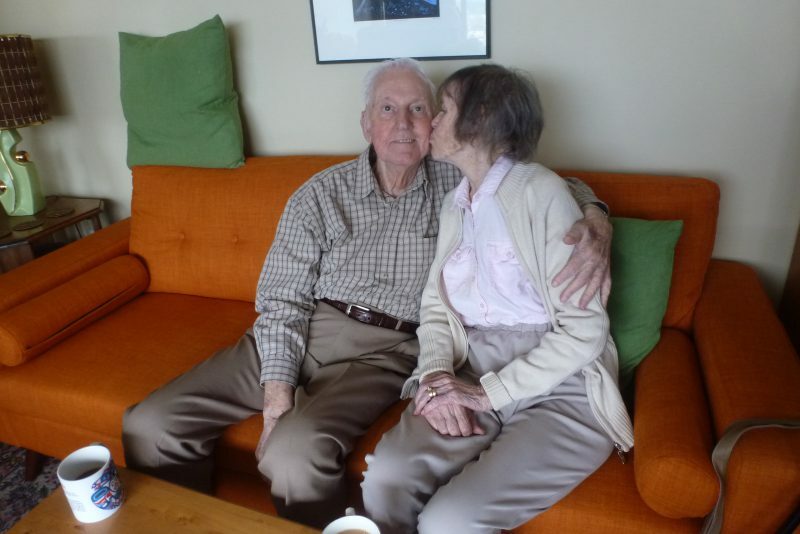 Colleen and Murray McRae married young and were together for a remarkable 70 years when they were admitted to Royal Columbian Hospital separately in the summer of 2017. When staff learned they were husband and wife, caregivers moved them together in a room that became affectionately known as the “honeymoon suite”. It was a gesture the family appreciated, even more so in hindsight when 87-year-old Murray passed away less than a week later. “You couldn’t have asked for anything better for end of life,” says daughter Linda Cann. Her parents had lived in the same New Westminster home for three decades, but in recent years, Colleen had developed dementia. Murray did everything he could to care for her at home, but a chronic bladder infection led Colleen to be admitted to hospital. “He religiously attended and was absolutely her advocate for making sure she was in the best care,” says Ron Cann about his grandfather’s daily visits to Royal Columbian while Colleen was being treated with antibiotics. But Murray, who had chronic obstructive pulmonary disease (COPD), started coughing blood one day and was taken by his family to the emergency department. There, they received stunning news – he had terminal lung cancer. Murray was admitted to the same floor as his wife, although they started off in separate rooms. A family member brought the couple’s relationship to the attention of staff, and soon they were together in a room by themselves. Murray’s health deteriorated a few days after he was admitted, and he passed away less than two days after that. Despite the sudden loss of their loved one, the family appreciates the hospital’s efforts to make the moment as comfortable as possible. “It was wonderful to be able to be there with him, at the very end, and bring my mother to him, right there in the room, not disturbing anyone else, having the space for ourselves,” says Linda.